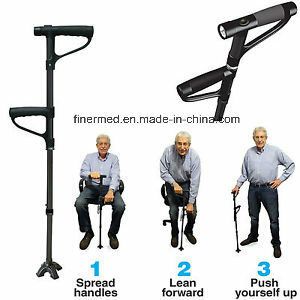 Trusty Cane LED Folding Walking Triple Head Pivot Base Adjustable can folding design creates suitable for travel, while the built-in onward and downward LED lights carefully guide you in the dark. 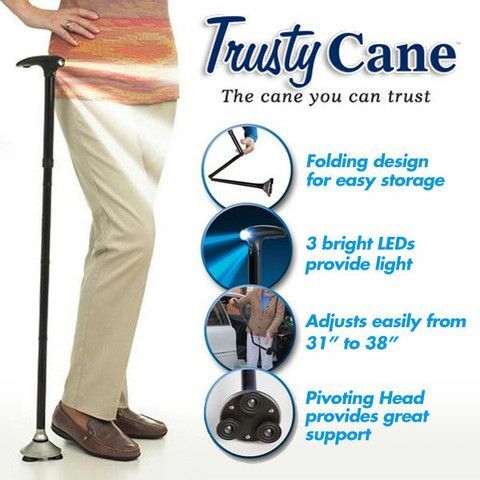 Now you can get in the front door deprived of your cane sinking on the floor. It can modify for your size and locks in place which makes it amazing. 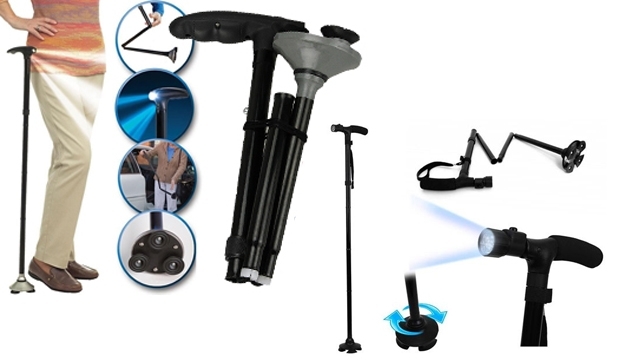 Rotating head intended for consistent equalization on most sides, just as rock, sand, and snow. 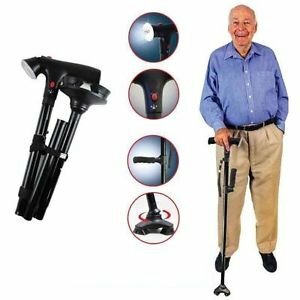 The Trusty Cane LED Folding Walking Triple Head Pivot Base Adjustable even stands by the situation when left unattended.